1) (Greenwell Ford, co. Durham). Or, two bars az. betw. three ducal coronets gu. Crest—An eagle’s head ar. beaked gu. gorged with a chaplet of laurel vert. 2) (Greenwell Hill, co. Durham). Same Arms. Crest—A crane’s head couped ar. beaked gu. gorged with a w reath of laurel vert. Motto—Viresco. 3) (Broomshields, co. Durham). Same Arms. Crest—A crane’s head couped ar. beaked gu. with an olive branch round the neck vert. 4) (London; borne by Walpole Eyre Greenwell, Esq.). Same Arms, Crest, and Motto as Greenwell, of Greenwell, co. Durham. This surname is a locational name from a place in Yorkshire, which is from the surname Greenwill, a location in Devon. It is a topographic name for a person who lived by a “stream among lush pastures”. It derives from the Middle English word grene (green) and welle (spring). Early notables include Thomas de Grenewille recorded in the Hundred Rolls of Oxford shire. According to Wikipedia, “The Greenwell family still owns the land in Durham originally awarded them by William the Conqueror and from which they take their surname, as well as land in Suffolk and Inverness-shire“. According to Mark Antony Lower, this family belonged to a wide-spread and ancient family descended from Gulielmus Presbyter, who in 1183 AD, appears as “Boldon Buke” held the lands of Greenwell in the parish of Walsingham in the county of Durham. The Greenwells of Stobilee, who carry their pedigree back to the beginning of the 16th century, seem to have been one of the principal stocks in modern times; the property of Broomshields has been for four centuries in the possession of a branch of this family. His son James assumed the name of the place in his inheritance. Early settlers in America include Richard Greenwell (Virginia 1650), Acton Greenwell (New England 1775), and Richard Greenwell (Phildelphia 1852). Here is an extended lineage of this family. John de Grenwell was recorded as living at Park Yate in Wolsingham in county Durham in 1388 AD. He, with his wife Caterhine, had a son named John De Grenewell, who died in 1461 AD, leaving behind his wife Joan and his son Lawrence Grenwell. Lawrence died in 1499 and had a son named John Grenwell (died 1543), who, with his wife Agnes, had a son named Peter Grenwell. Peter had a son named Peter Grenwell (died 1573) who had a son named Anthony Greenwell of Corbridge, who was succeeded by his son Ralph Greenwell, who married Isabel Fenwick of Dilston. Ralph had a son named William Greenwell (1688) who married Mabel Leadbitter of Wardon, who had a son named Nicholas Greenwell (1659-1756) of Corbridge, Kingwood, and Northumerbland. Nicholas married Hannah (last name not given) and had son Whitfield Greenwell, who was a Captain in the Army and married Jane Aynsley and had Nicholas Greenwell (born 1716). Nicholas married Catherine Hickman and had a son with her named John Greenwell, of the India House. John married Jane Sheridine and had son James Hugo Greenwell (born 1779). James Hugo married Livia Sophia, the daughter of Colonel Ward of Bryanston Square, and had two children: James and Livia Jane. He later married Bridget Lloyd, and had a son named Walpole Eyre Greenwell (born 1819 AD), of Upper Berkeley Street. Walople married Eliza Theophila and had eleven children with her: James Hugo Christopher, Walpole Llyod, Leonard, Donald, Edward Eyre, Charles Okey, James Freeman, Rosa, and Amy. 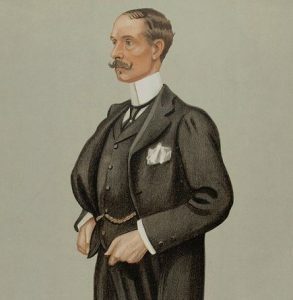 Sir Walpole Llyod Greenell (born 1847) was the First Baronet, of Marden Park and Godstone in county Surrey, and of Greenwell, Wolsingham in county Durbin. He married Kathleen Eugenie and had two children: Bernard Eyre and Major Aynsley Eyre. Another notable of this family is Sir Peter McClintock Greenwell, the third Baronet, who succeeded his father in 1939 and married Jean Henrietta Rose and had children and had a daughter named Julia Henrietta born in 1946. Bernard Burke, in his book The Landed Gentry, mentions three branches of this family: Greenwell of Greenwell, Greenwell of Greenwell Ford, and Greenwell of Broomshields. The first is an ancient family seated at Greenwell Hill in Wolsingham. The earliest recorded ancestor was Gulielmus Presbyter in 1183 AD, who had sons James de Grenewelle and Richard de Grenewelle, appear as witnesses in several charters granted by Bishop Pudsey. Younger branches of this family are seated in Ford and Broomshield in County Camden, in 1602, confirmed to William Greenwell, a merchant of London. Another line seated in Corbridge was respresented by Walpole Eyre Greenwell. The second branch mentioned is a younger branch seated in county Durham at Greenwell. One of the early notables in this family was William Greenwell of Stobiele in the parish Satley, who married Alice Claxton and had three children William, Richard, and Nicholas. Nicholas of Fenhall purchased lands Ford, afterwards named Greenwell Ford. In 1638, he acquired another portion from Hodgson, of Manor House, and divers other parcels of various dates. The third branch mentioned is the Broomshields line that traces back to the reign of Henry VII (1488) where one Peter Grenewell was recorded. Notables of this line include Thomas William Greenwell (born 1848) who was a Lieutenant of the North Durham Militia, and Thomas Greenwell, who married Eleanor Maddison in 1774 who had the following children: Thomas, John, Eleanor, Mary, and Elizabeth. In some other writings I found information that the early Greenwells came from Normandy. I am not able to find that page now but am most interested to find out more about this. My lineage too. There is a widely held belief that Gulielmus Presbyter was granted land by William the Conqueror. No-one has ever provided proof and I have always been sceptical. Boldon Buke was in 1183- long after the 1066 invasion, and the land held by Gulielmus and his son was only 140 acres if I remember correctly. Why would a humble priest have received such a grant from the Conqueror? I have read that the church was granting land to its priests at this time, and for me, this seems much more likely.